Product prices and availability are accurate as of 2019-04-17 21:33:36 UTC and are subject to change. Any price and availability information displayed on http://www.amazon.com/ at the time of purchase will apply to the purchase of this product. Kayak World Products is happy to offer the brilliant 14SUP2N1010GT-Parent Naish 2014 Nalu GT Paddleboard. With so many on offer right now, it is good to have a make you can trust. The Naish 2014 Nalu GT Paddleboard is certainly that and will be a superb acquisition. For this reduced price, the 14SUP2N1010GT-Parent Naish 2014 Nalu GT Paddleboard is widely respected and is a popular choice with most people. Naish has provided some nice touches and this equals great value for money. View YouTube Video "Paddleboard Naish 10'6.5".. El Tico"
Oct 23rd 2012... Great sesh!!! 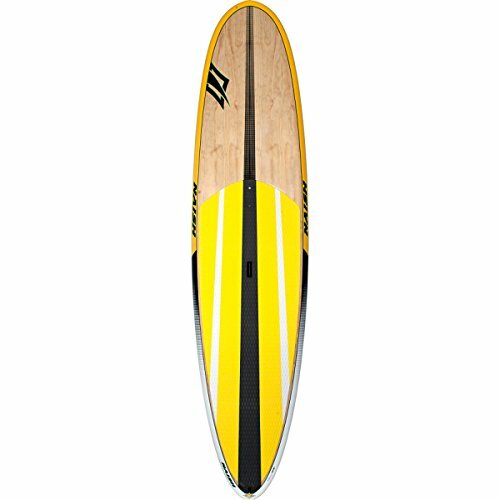 View YouTube Video "Naish Mana 8'5" Review with Beau Nixon and Jon from Surf FX"
Jon from Surf FX and Australian stand up paddleboard champion Beau Nixon check out the 2014 Naish Mana GT 8'5. 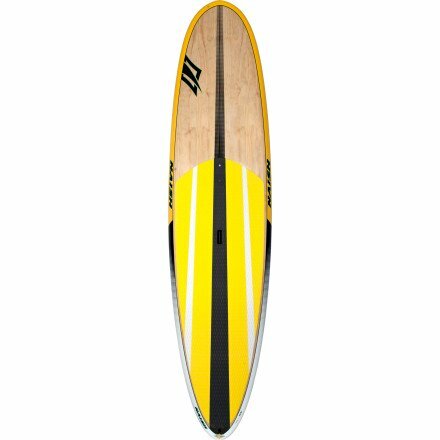 The Naish Nalu 10'10" Timber showcases an extreme multi-concave bottom form that channels the water nose to tail. At 32" broad, with a low nose rocker and progressive tail rocker, the Nalu 10'10" paddles remarkably fast and right for such a brief, broad board. As an all-around, do-everything board, the Nalu 10'10" is fantastic in little browse, for touring, navigating tandem or packaging camping gear or a colder and going down stream. Includes an integrated M8 universal pole box with stainless steel threads for windsurfing flexibility. The full sandwich fiberglass/wood building adds stiffness and reduces weight. The Ledge recessed ergonomic lug deal with makes for easy transportation to and from the water. The single piece dual-density EVA deck pad, including diamond grooving, supplies outstanding traction. Includes a 10.5" timber composite center fin. The consisted of Eco Board bag reduces packaging by 85 %. REQUIREMENTS: Length: 10'10", Width: 32", Density: 4 3/8", Quantity: 201 lt., Weight: 29 lbs., Biker max weight: 280 lbs. Radical multi-concave bottom shape that channels water nose to tail; paddles amazingly fast and straight for such a short wide board An all-around do-everything board; great in small surf, for touring, paddling tandem or packing gear and heading down river Dual-density deck pad with diamond grooving provides excellent traction Wood composite 10 1/2 inch fin included Integrated M8 universal mast box with stainless steel threads for windsurfing: includes Eco Board bag 10'-10" x 32" x 4"